The 3rd edition of IFAT Africa, the major trade fair for water, wastewater treatment, waste and recycling, will be held from July 9 to 11, 2019 in Johannesburg, South Africa. The biennial event will provide an exchange platform for water and waste management professionals in Africa. The Gallagher Convention Center in Johannesburg will host the third edition of IFAT Africa, from July 9 to 11, 2019. The objective of the event is to bring together decision makers and stakeholders around the table to share knowledge and experience on environmental technologies, especially in the water and waste sector. IFAT Africa is the leading environmental technology trade show for Southern Africa. More than 1800 visitors and 150 exhibitors are expected in Johannesburg. In 2017, the three-day event attracted more than 1800 visitors from 38 countries. The edition was an opportunity for Pamela Tswete, South African Deputy Minister of Water and Sanitation, to highlight the importance of the exhibition for the environmental market. “In solving our current global challenges, the countries of the world must talk to each other and share their technical expertise. 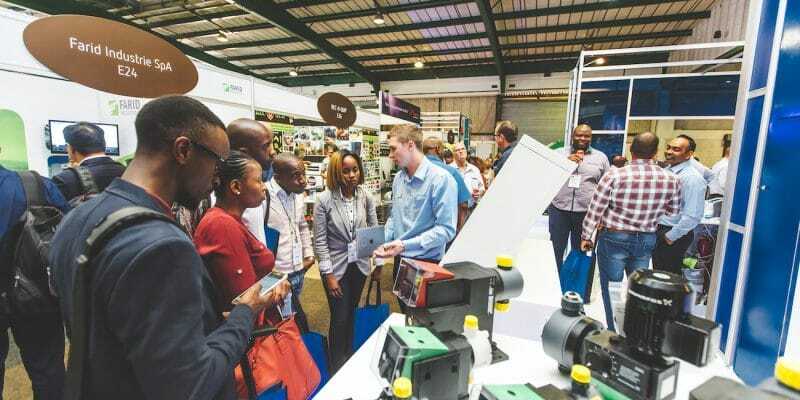 IFAT Africa is a platform for mutual exchange that shows us what solutions are already on the market and what environmental tools have been used in other countries,” she said. The thorny problem of water scarcity became particularly alarming in 2017, as South Africa experienced severe restrictions. Since then, the entire country, and other southern African nations that are in turn threatened, have been looking for solutions to secure drinking water supplies. Across the continent, nearly 300 million people lack reliable access to this resource. To overcome the water crisis in South Africa, IFAT Africa and WISA (Water Institute of Southern Africa) launched a cooperation initiative in June 2018. The objective is to increase the production of drinking water by promoting exchanges between experts and technology suppliers. WISA will therefore organise a major conference on the IFAT Africa exhibition.